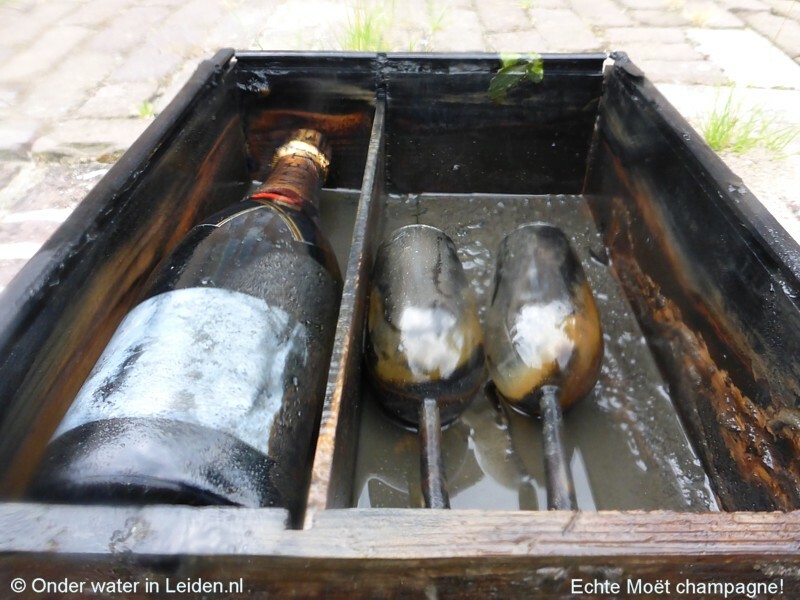 'Onder water in Leiden' translates as Under water in Leiden. 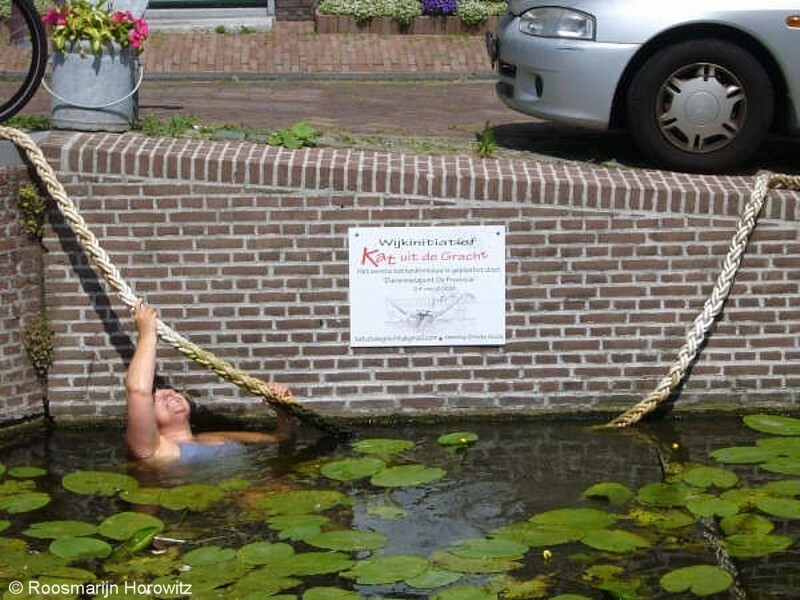 'Under water in Leiden' is a unique project in the Netherlands, started by locals in 2011. 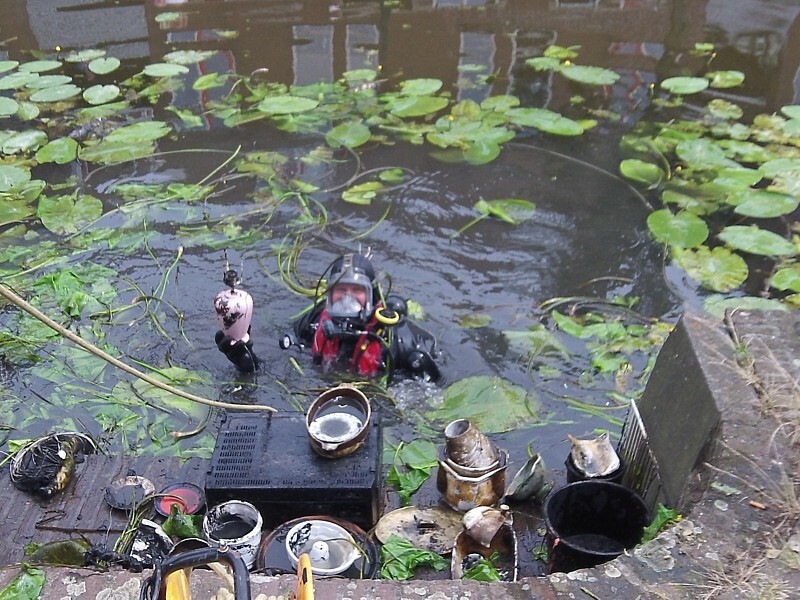 Locals became interested in the life under the surface after the city-canals got cleaner and clearer. 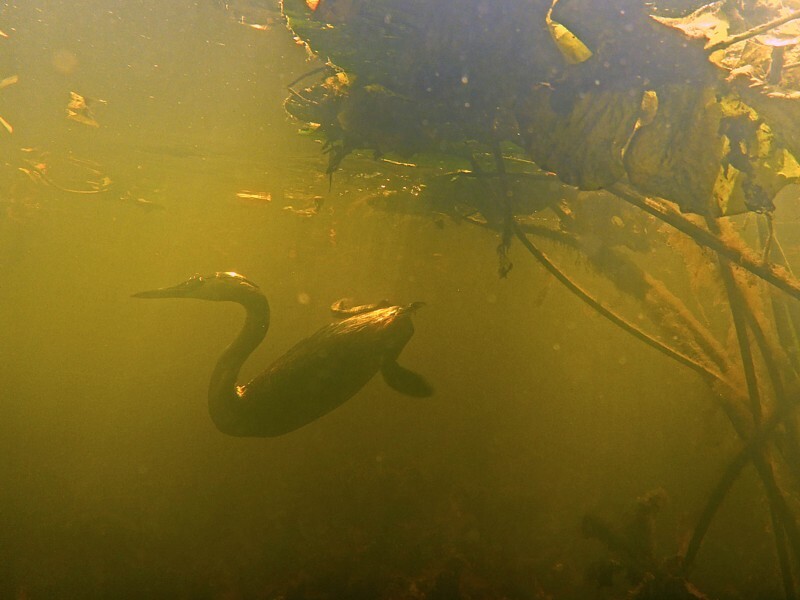 This clarity (and growing abundance of wildlife) was mainly due to well-planned maintenance of the waterways within the city and surrounding areas. 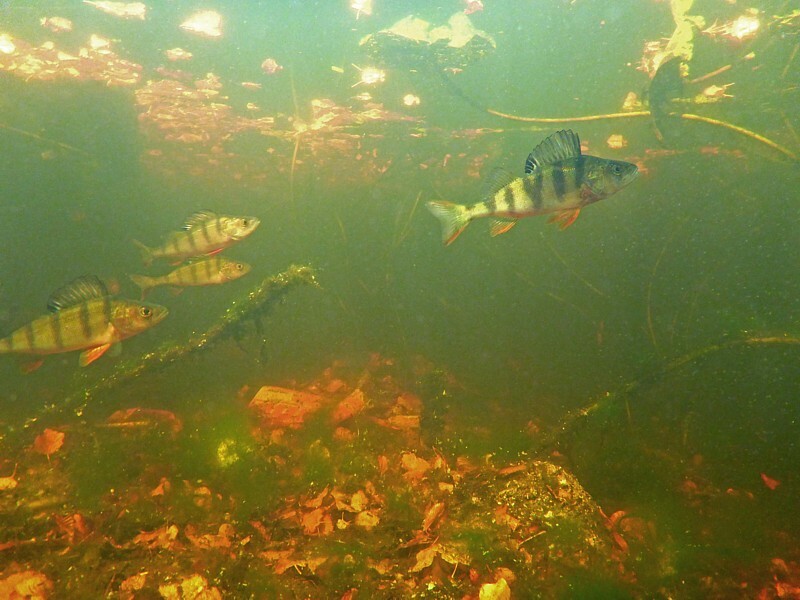 The project 'Monitoring of Fish', encompasses the checking and counting of wildlife in the canals and is since 2013 an official biodiversity project. 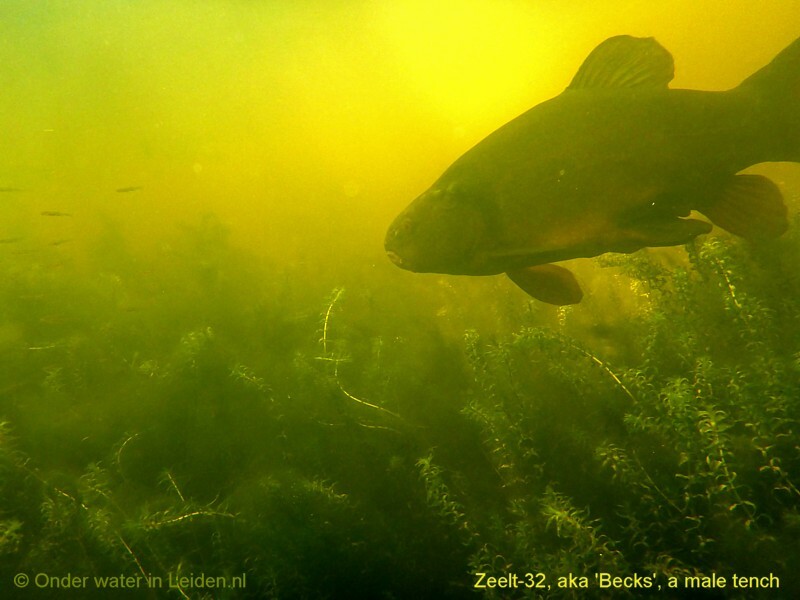 Under water in Leiden is supported by the Leiden council, various institutions who work with and on the waterways and of course widely appreciated and cared for by the locals. 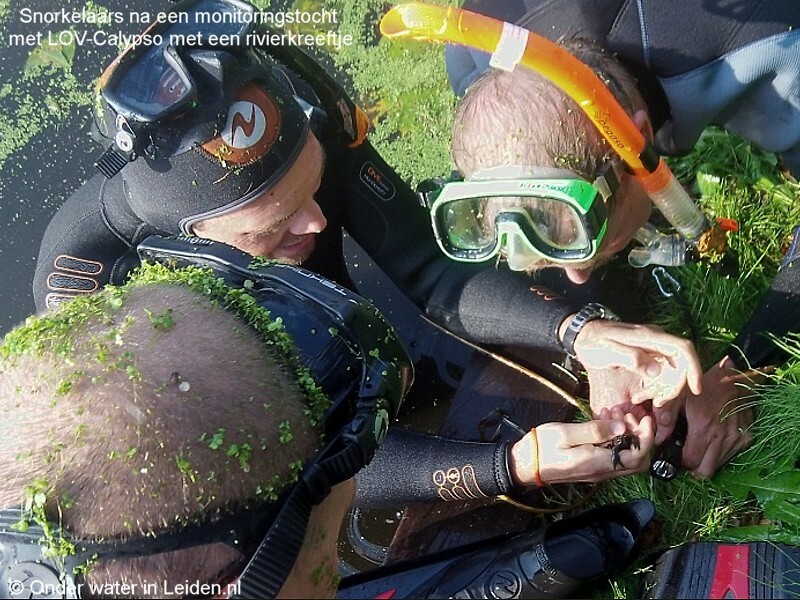 Almost 50% of the monitoring is done snorkelling in the canals, with a special permit, since swimming in the canals in Leiden is otherwise prohibited. 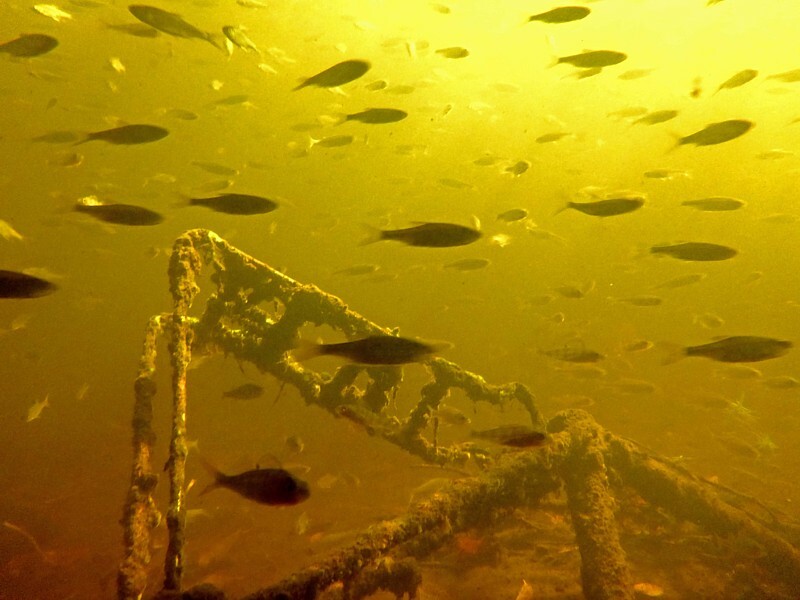 Do you wish to join Diving Club Calypso in a snorkelling trip and monitor the fish with the specialists? Send an e-mail to Calypso. Please note: You must be a well-abled snorkeller or diver! There is a disclaimerpage. 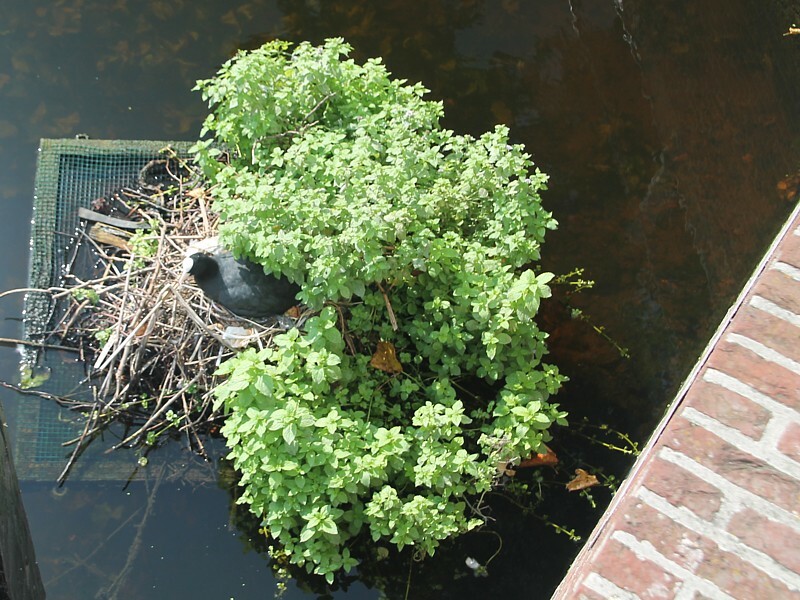 To get a better insight in the abundance of all species of flora and fauna that inhabit the waters of Leiden (30 mins from Amsterdam). 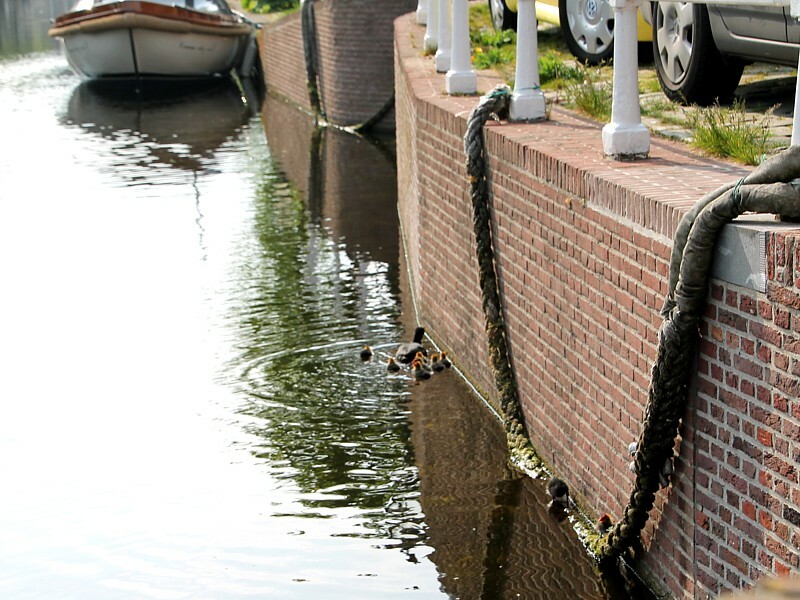 Special interest is in how exactly the animals use the canals (for breeding, feeding etc). And we try and uncover what measures are necessary to keep them (or invite even more of them) here. 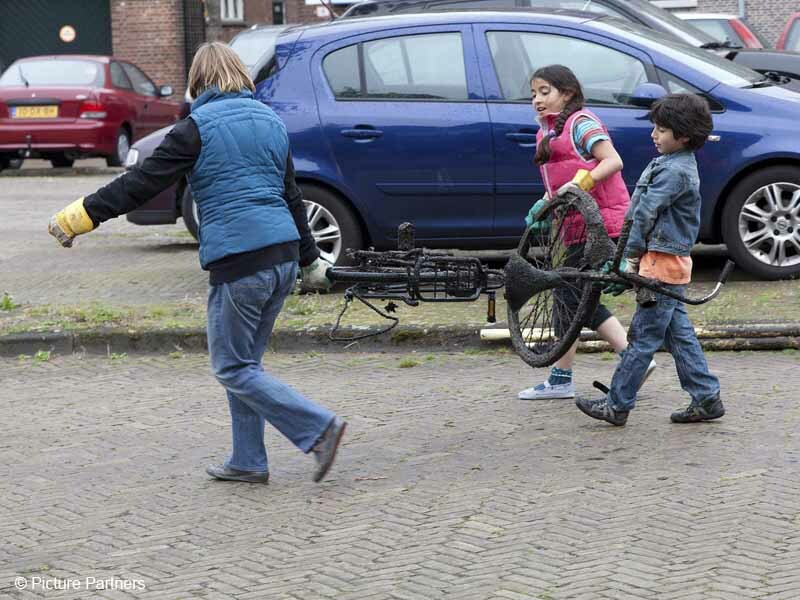 Another goal is to get the people of Leiden involved in taking care of their environment 'in front of their door'. 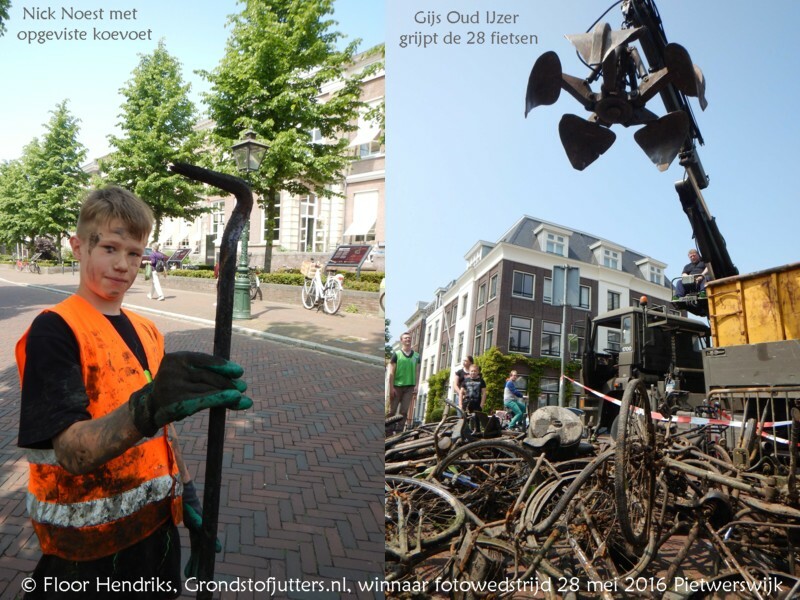 They can do that by taking out debris with small fishing nets, or by helping with the big cleanup-jobs we organize with our free litterfishing canoos. Join us! 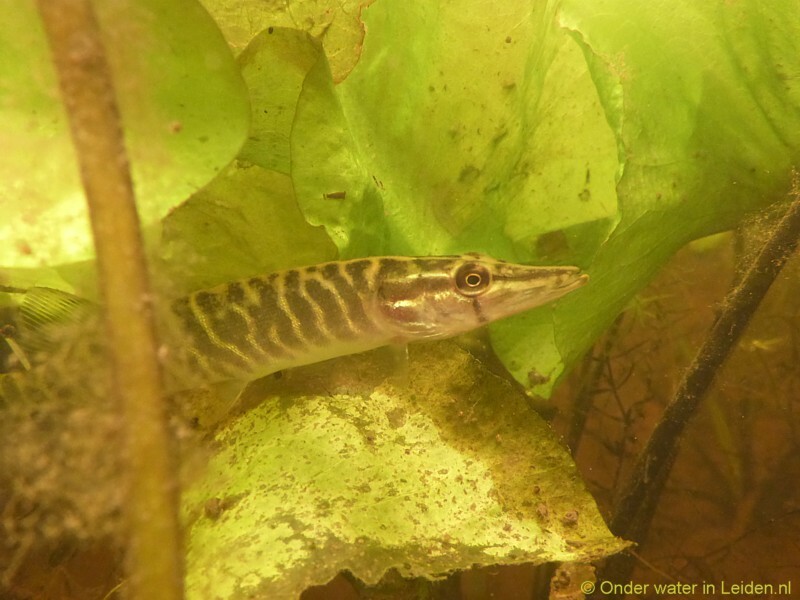 But also by spotting, counting and registering the fish they see, 'protecting their pike' (each canal has its own individual, territorial pike) and so forth. Does this inspire other cities? 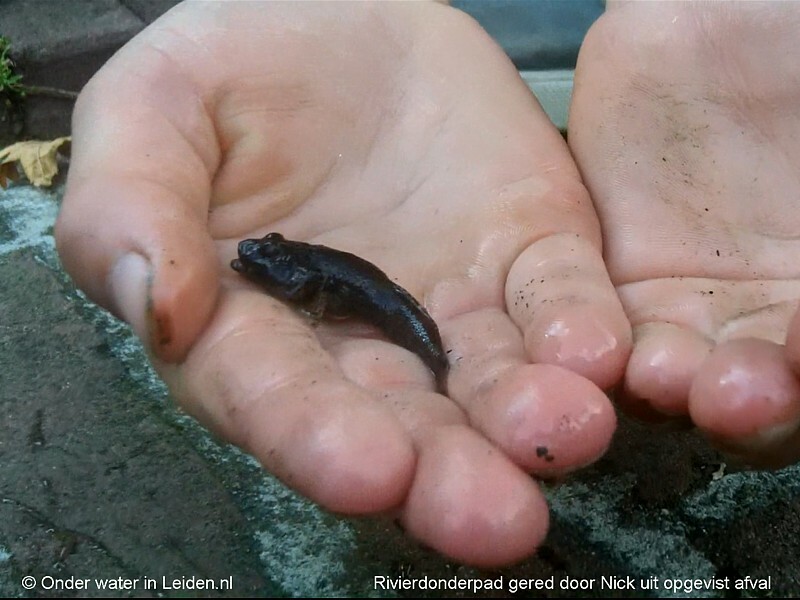 As projectleader of the succesful fishmonitoring group in the Havenwijk, Ms Aaf Verkade has been asked by the council to extend her activities to new communities in Leiden annually since 2015. If possible, we would like our project to be copied by enthousiastic locals in other cities as well! It worked very well with our 'Feline Lifeline' programme, see below. 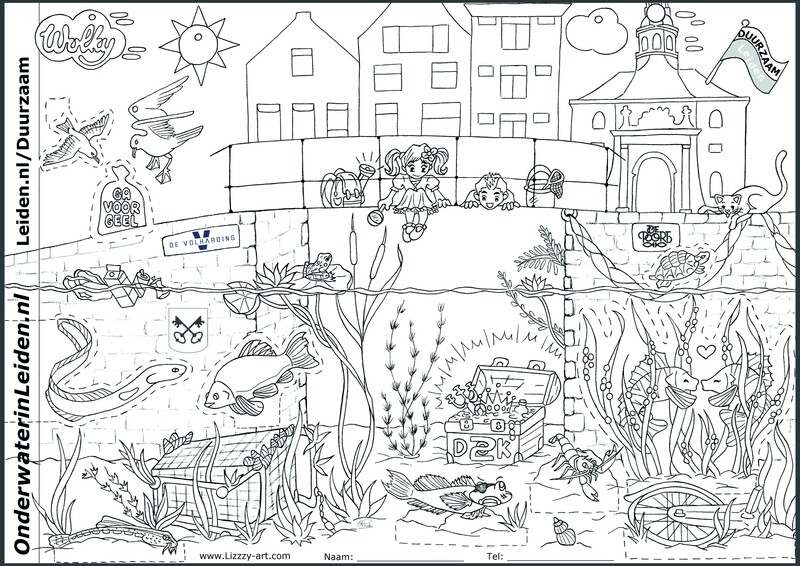 Aaf enjoys stimulating the locals to clean up the waterways in their communities and care for their 'neigbours under water' - you can hire her to give an inspirational speech (in 5 languages). 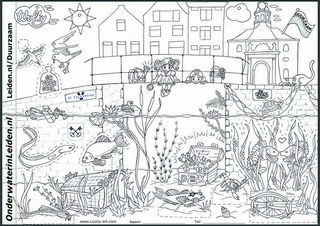 See her professionalwebsite stadsgrachten.nl for more information about her work as an independent City Canal advisor (in Dutch only). 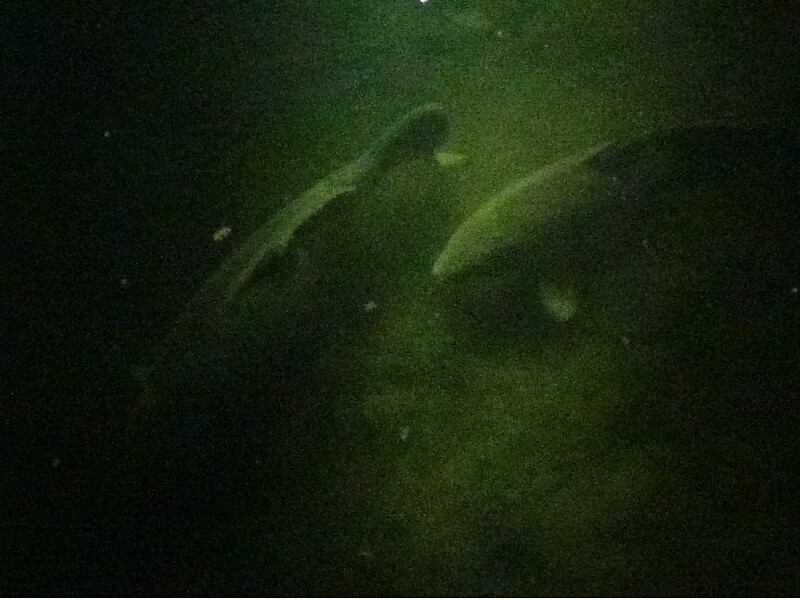 The most precious species found until now are: eel, spined loach and bullhead. 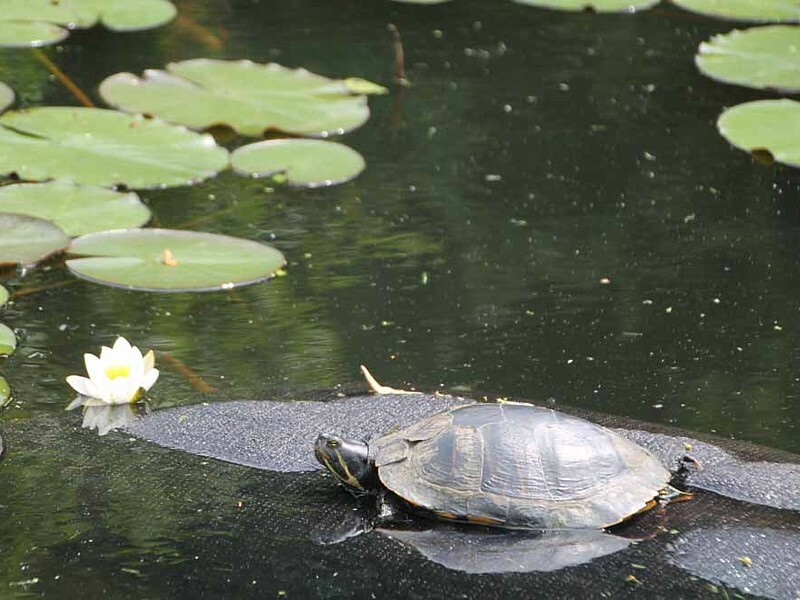 Exotic species, like Chinese mitten crabs and American crayfish have also been discovered, as well as Mississippi slider turtles, which are seen abundantly, caught (snorkelling) and photographed and measured for research. 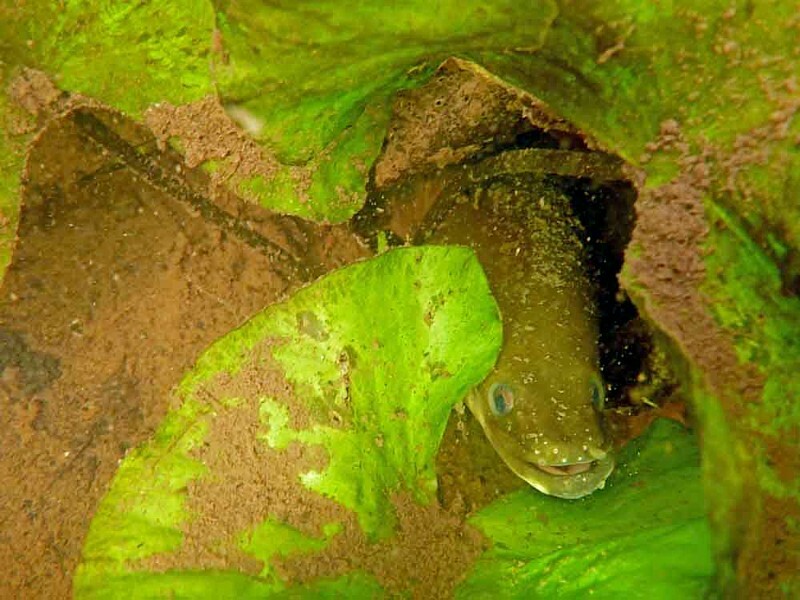 The first exotic goby was discovered in 2015 (the tube-nosed goby) and the second (black goby) in 2018. 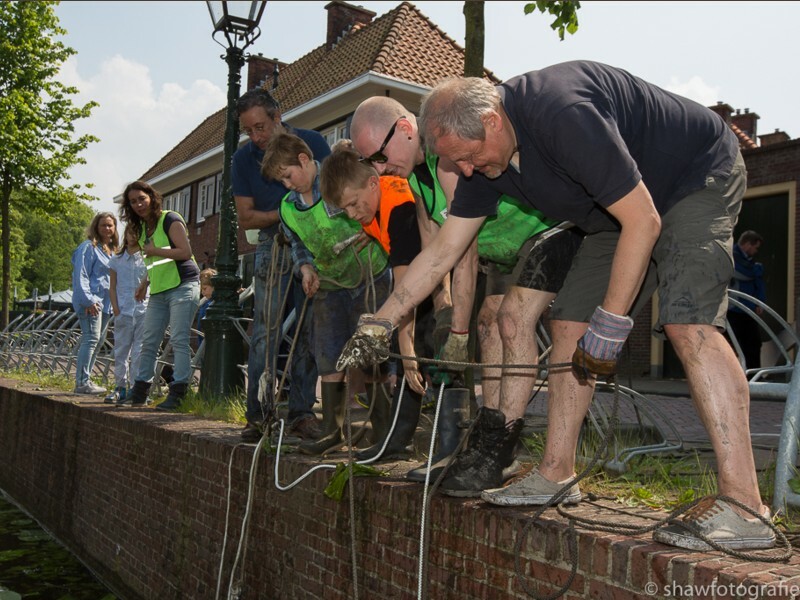 Their invasion of the Leiden canals is being investigated with a 'goby-grant': Aaf won this special grant from Stichting RAVON. 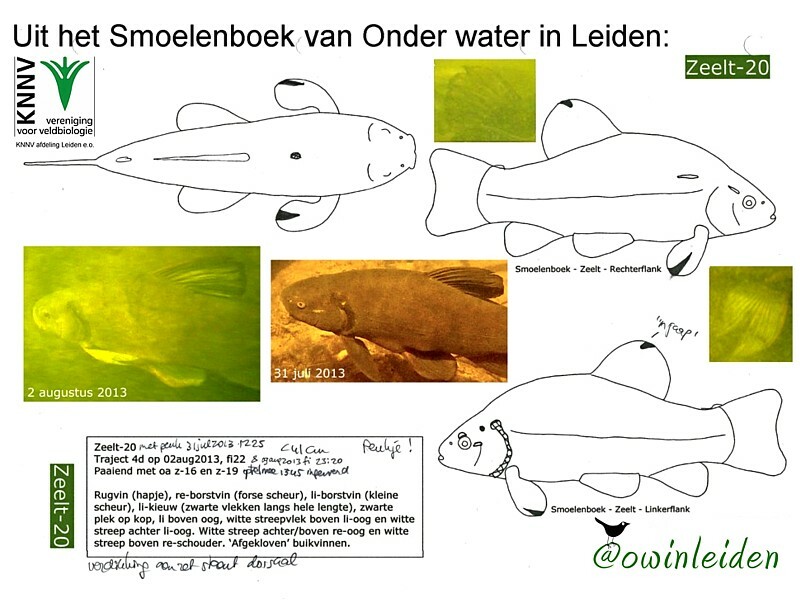 Aaf also discovered a 'flat fish' in the research area Havenwijk-Zuid in 2015, called the flounder, which is a species that uses both salt and sweet water to go through all of its life-cycles. 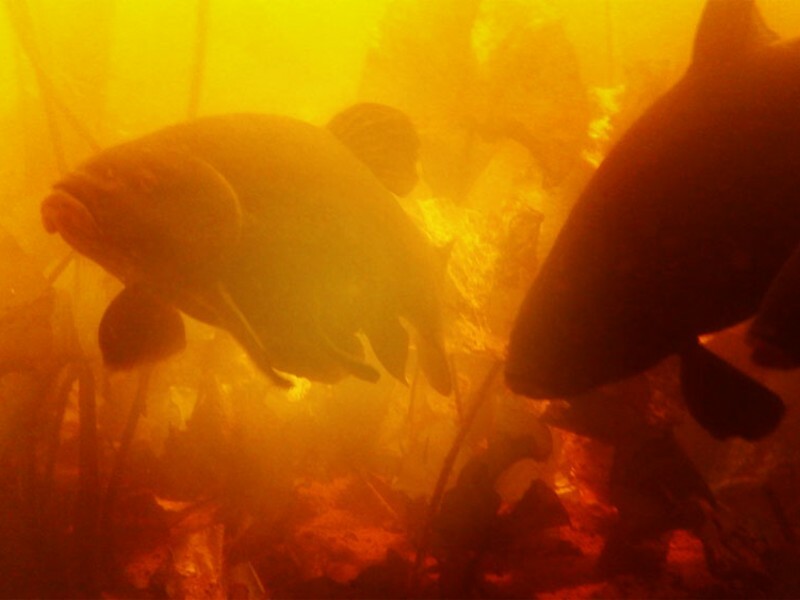 Indeed, big fish have (just like dolphins and whales) nicks, scratches and parts of their fins missing, which makes them individually distinguishable. 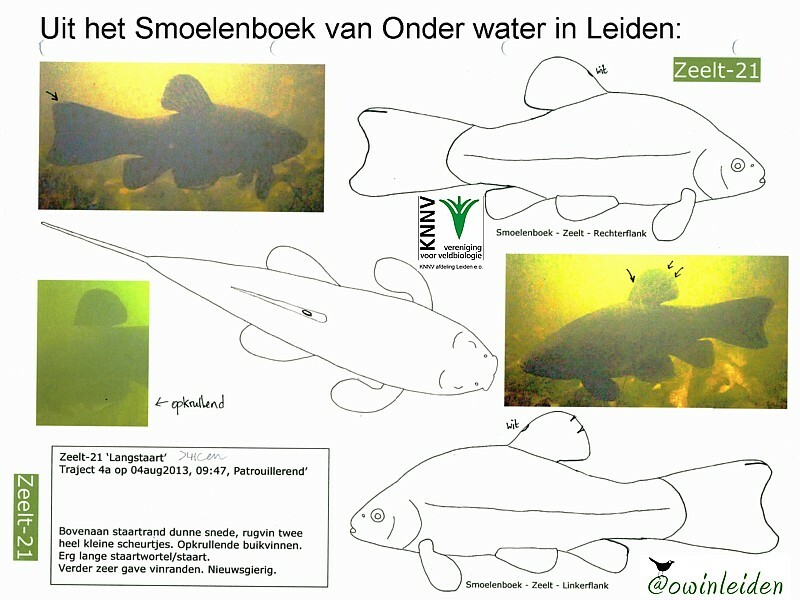 They are catalogued in their own 'Facebook' (Smoelenboek) on this website. 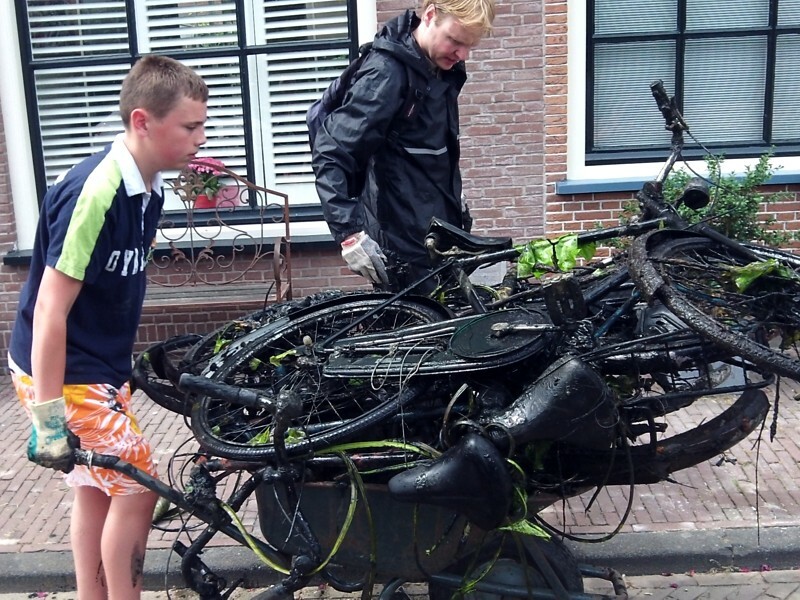 The bikes and other debris on the bottom are regularly taken out of te water with help of volunteer captains of stichting de Leidse Rederij, locals, volunteers from other cities and the council. Click here for a link. 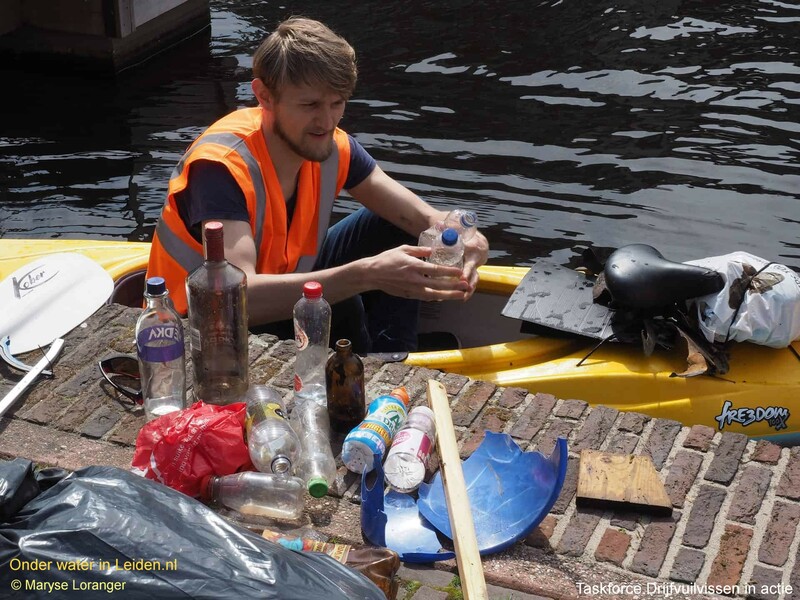 We started a Taskforce with the council, a tourboat company (Stichting de Leidse Rederij), a back-to-work rehab programme and locals with the main goal to regularly clean up the plastic garbage floating in the city. This works a treat! 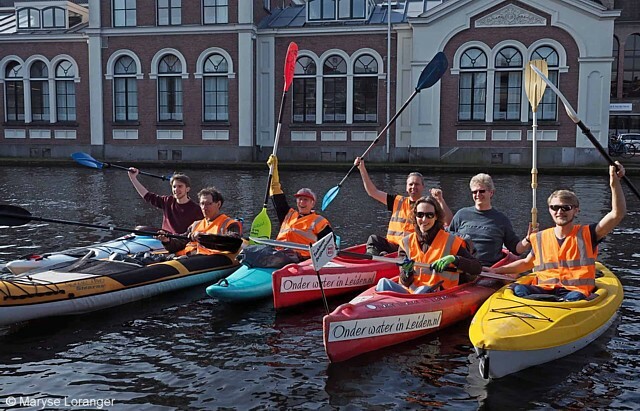 And here for the English page, which explains how you can use a canoo for free to have an enjoyable time on the water, whilst helping to clean up our environment, where no one else can reach it. 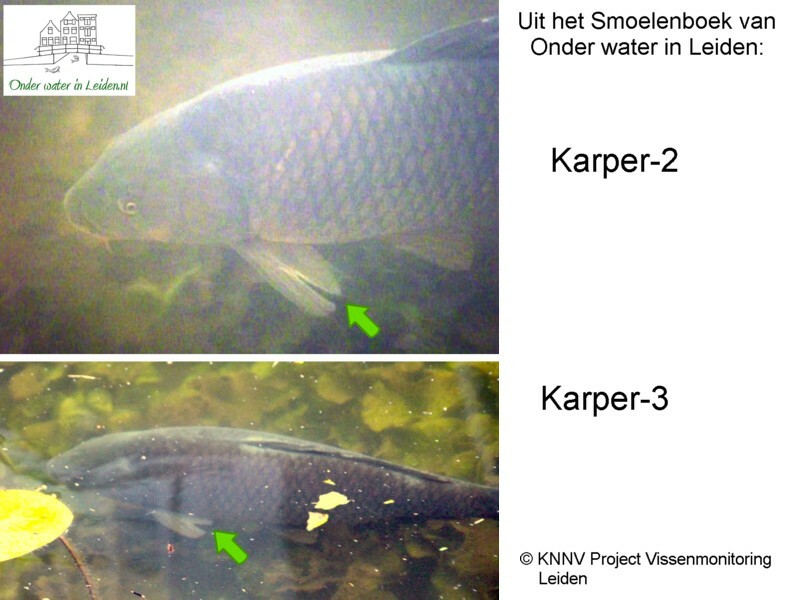 Project of the KNNV, Leiden dept. 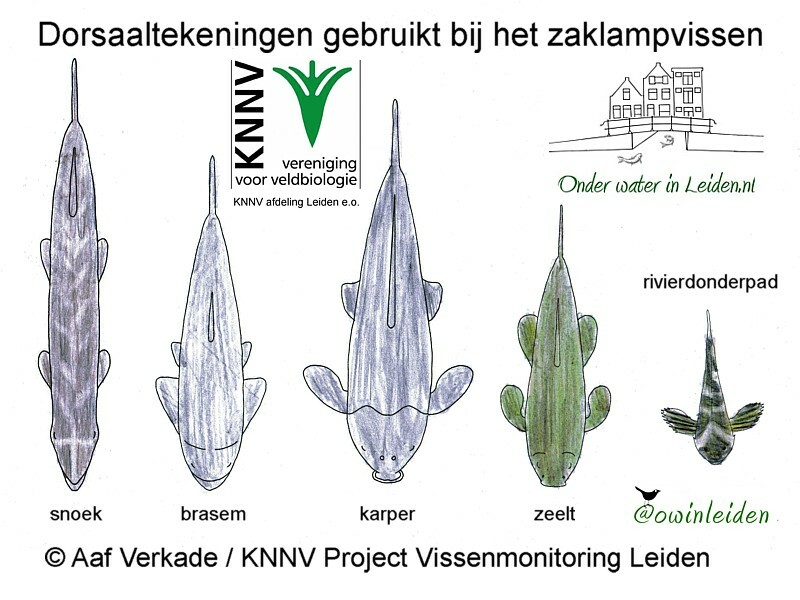 Since january 2013, the project 'Monitoring of fish in Havenwijk-Zuid' is one of many projects overseen by the KNNV, Leiden dept. 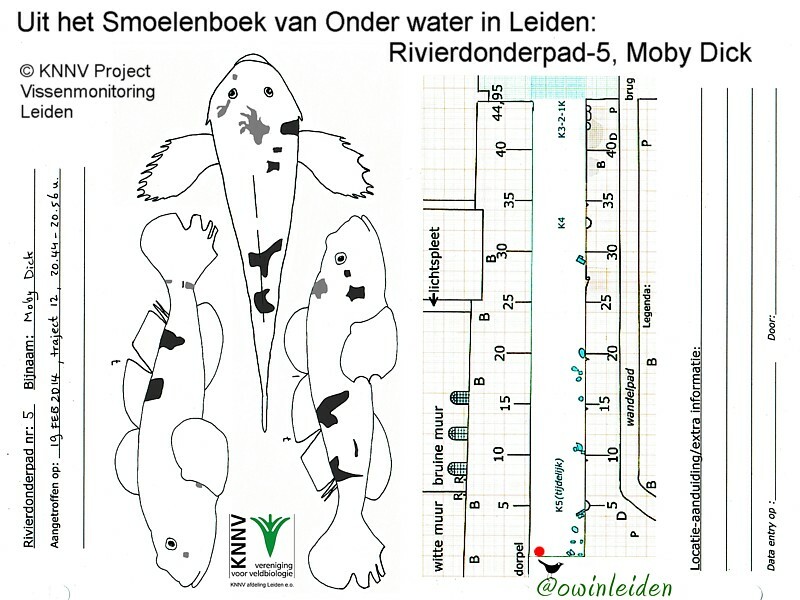 This organization of inspired and enthousiastic (amateur) biologists make sure all data is gathered professionally and processed in such a way, that institutions like the council, Angler's Union Leiden and the watercontrol department (Hoogheemraadschap van Rijnland) can use the data to adjust their strategies and plans regarding water treatment and fishing regulations, if necessary. 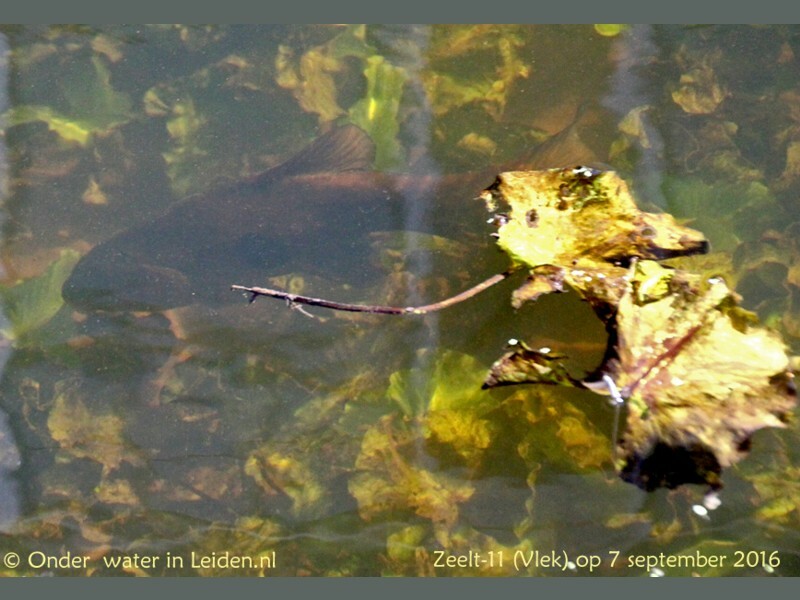 They even published a book about the art of 'flashlight-fishing' (Zaklampvissen: Dutch only), which seems to be the best method to count the abundance of fish in a city environment. 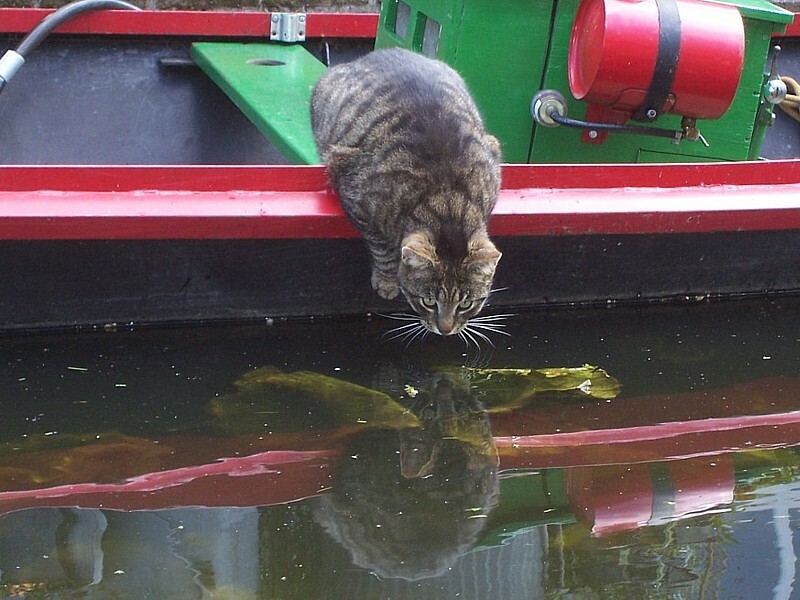 Feline Lifelines is a hugely successful 'save your cat from drowning in the canals' programme. 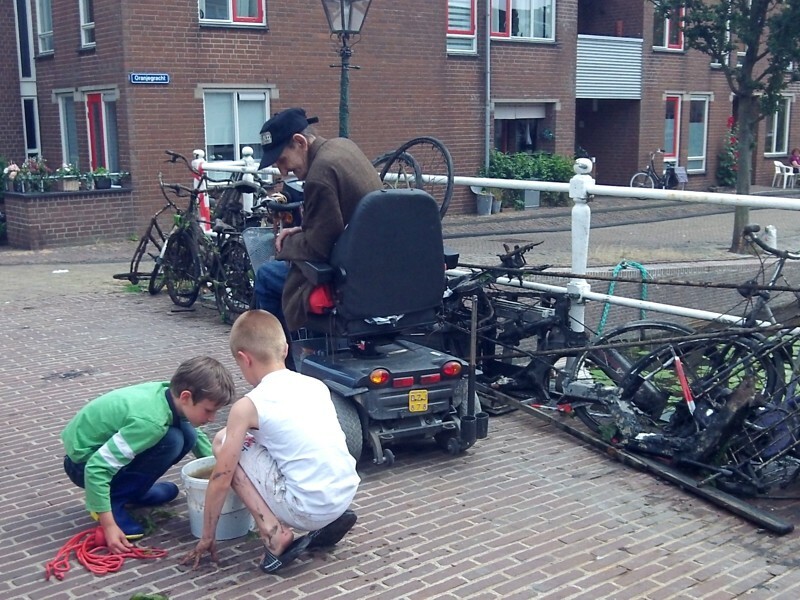 It was started by the locals, with support from the council, in 2009 in the Havenwijk. 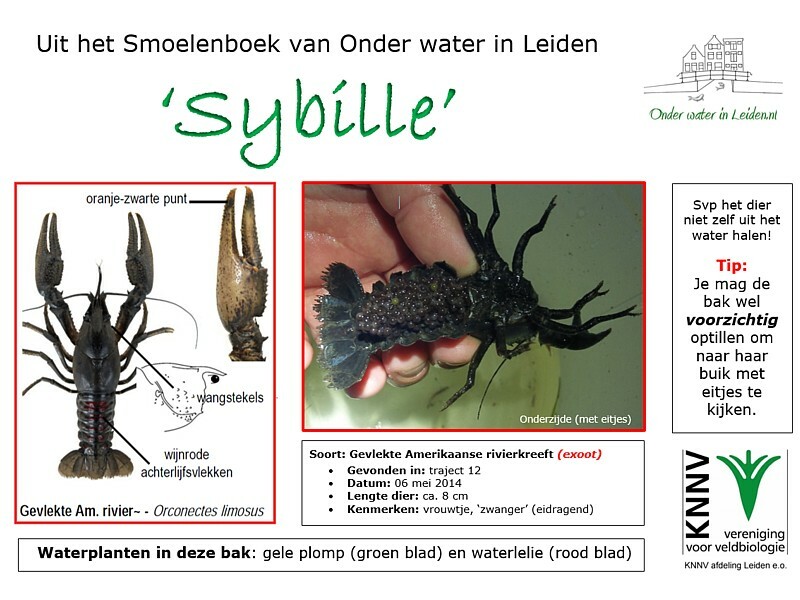 More information (in English) can be found here. 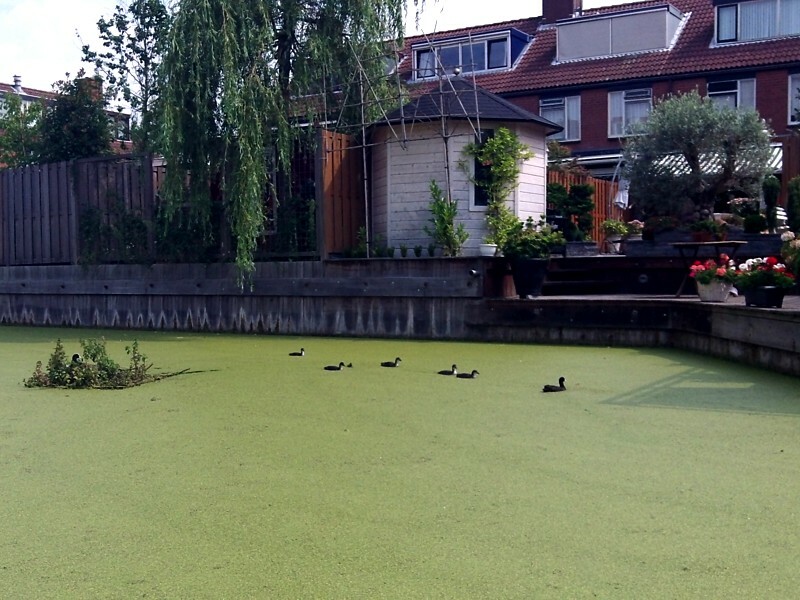 Because of its immense success in Leiden (more than 100 cats saved from drowning) it has expanded to at least 20 more cities in the Netherlands.